I discovered another way to shut off ABS. As with all mods on here, I take no responsibility for what happens to you or your vehicle when modifying it. Do so at your own risk. There is some mod on here about messing with the fuses which won't let you shift out of 4x4 or something and another one that requires you modify the ABS motor by either pulling that fuse, or bypassing it and connecting the fuse to a switch. For this method, just pop the drink holder molding off. 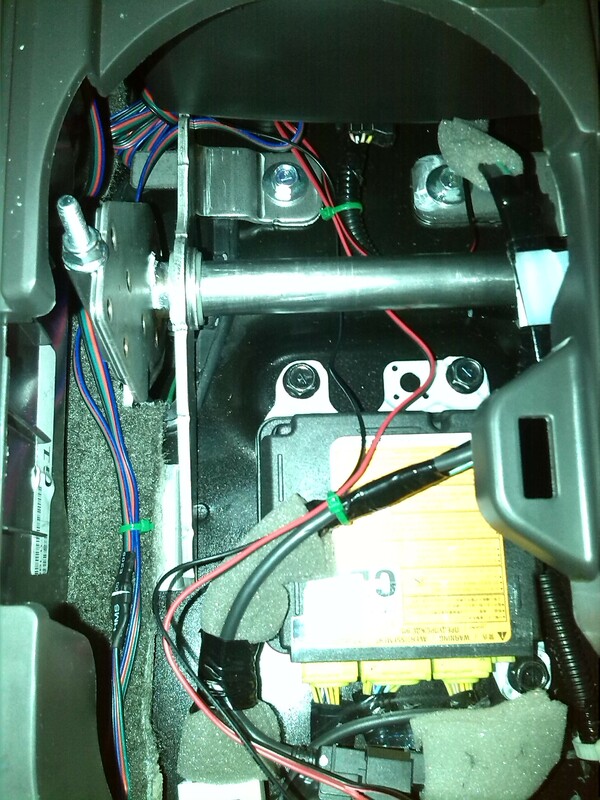 At the back, towards the center console there is a plug right there (the plug on the top of the image with 4 wires) , that is your ABS plug. Unplug that and you are done! You can shift to 4 hi, 4 low and lock it with the e-locker no problem. To turn it back on, plug it back in and turn off your engine and restart. The ABS will be back to normal. The brown wire is the ground for the plug. Pull that sucker out of the wiring harness, snip it and connect the wires to a switch. With the switch in the "on" position there is a connection and the ABS works normal, in the "off" position the circuit is broken and the ABS shuts off. Even a momentary switch will interrupt the ABS and keep it off until restart. You no longer have to pop off the molding or anything, just hit the switch. You can now turn off your ABS on the fly and turn it back on easily upon restart! ABS Off button installed with the use of a 5 pin relay if you want a push button similar to stock like I did. 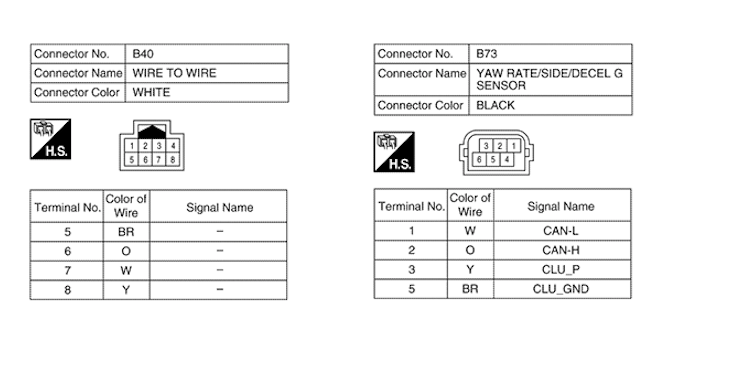 Using a 5 pin relay, 86 is the signal wire from the ABS Off switch, 85 is ground, 30 goes to the part of the brown ground wire from the ABS harness towards the front of the vehicle, 87a goes to the portion towards the rear, and 87 is not used. The 30-87a is normally on, a signal triggers the 5 pin relay and interrupts it switching to 30-87 but 87 is not connected to the ABS ground. Lizardking, occupantX, jr_ss and 6 others like this. Last edited by PhullD; 10-23-2018 at 04:56 PM. interesting!! very awesome find! So...when ya unplug it, do you have to have engine off? Or can you unplug it while the engine is on? If so...do you have to turn it off then back on? Yep should be no problem to pull it with the engine running. I have not made a switch yet due to the cold weather and lack of a garage. I did however unplug it with the engine on and it was fine. After 20 min of enjoying no ABS in the snow, I drove home, plugged it back in and did the restart with no issues. You can also do it with a smaller switch, similar to the one I have done for the interior floor LED's tucked in where my E-brake is. You can get them real cheap and save the rocker switch for something more important. So can we confirm that you can still get 4wd by this method. I had a bad abs sensor and ABS, VDC, and most importantly 4wd would not work. Even if I tried the "turn the truck off, switch to 4wd, start the engine" trick multiple times with no success. With this being the same system that would be my main concern. 100% works in my truck. Thanks for this. I had looked at the other mods, but wasn't too keen on some of the jiggery-pokery required. As it happens, I'm on vacation this week, so it's the perfect time to try this.